… the bard in question being Janowyn, High Bard of the River Kingdom. 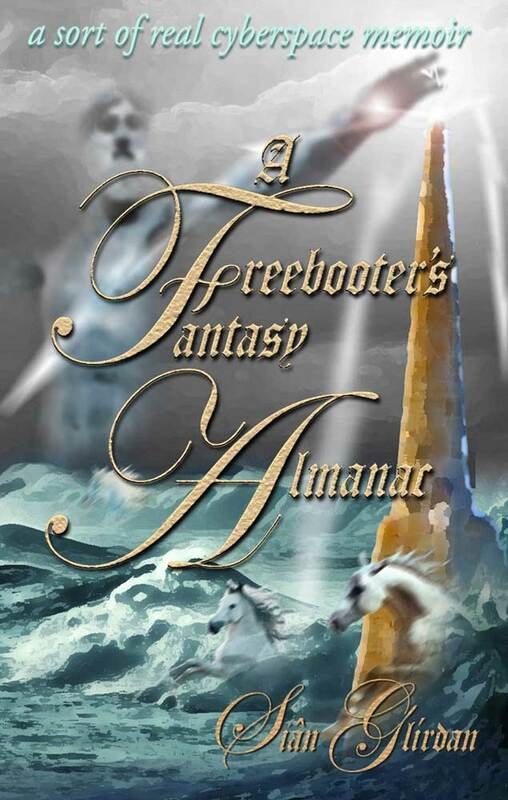 Tonight is the eve of the unfurling of the promotional sails as A Freebooter’s Fantasy Almanac slips it’s literary moorings and heads out of port. Now, I did mean ‘sails’ and not ‘sales’, because, as I write, the galleys are still being proofed and I’m not hitting the publish button until early June, but promotion is going ahead anyway – because it’s high time I got my act together as a ‘proper’ author. Jano(wyn), and myself come to that, were born of figments of Jan Hawke’s imagination and, in some respects, both Jano and myself predate Jan’s first published novel Milele Safari. However, it was Jano who took charge of the helm in 2005, when Jan’s real world life was unraveling and she desperately needed to reconnect with her creative side and with fantasy worlds in particular. While Jan was struggling with writing Milele Safari in instalments over the next eight years, Jano, the accidental elf, went from strength to strength in her chosen home in the River Kingdom, with her poetry and telling of tales. I became more involved as Jano grew in confidence and repute. While she was having the time of her life in the Bards’ Guild and falling in love in the beautiful vale, she inspired me to write of how things were with me in the real world as I struggled with shaking off the ‘old me’ and finding a way to become Sîan – the phantom hybrid of real world Jan and fantasy realm Jano. The collection of poetry in A Freebooter’s Fantasy Almanac therefore belongs to both Jano and myself. The same with the short stories. We’re a trinity of sorts – I used to say that I was the Id, Jan was the ego, and Jano the superego. In fact it’s not so complicated because, quite simply, Jano and myself are the artists and Jan is our publisher, the one who keeps us organised and gets the software working for us. And puts everything online on that other River Kingdom in cyberspace. Jan’s a good writer, but she knows that Jano and I are are far more qualified at handling the fantasy and so she’s letting us have free rein with all the writing in that genre from now on. We’ll try not to embarrass her too much!